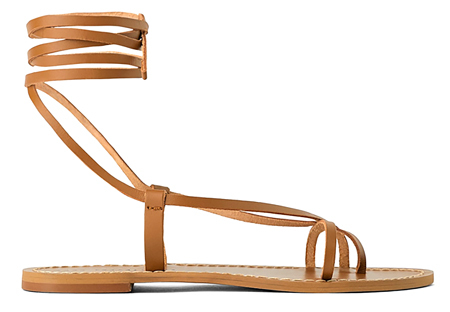 This colorful sandal is going to add pep to my step--and any spring outfit! 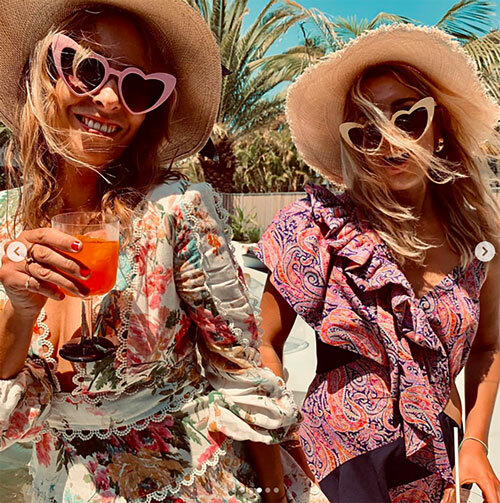 My Insta feed yesterday was on Sunday finest-fire, with everyone busting out their newest, prettiest, spring-iest frocks, including Meredith Melling, above in Innika Choo, and Lauren Santo Domingo in Johanna Ortiz, below. My friends and I opted for florals as you can see here (my dresses are by The Reformation and Rebecca Taylor). 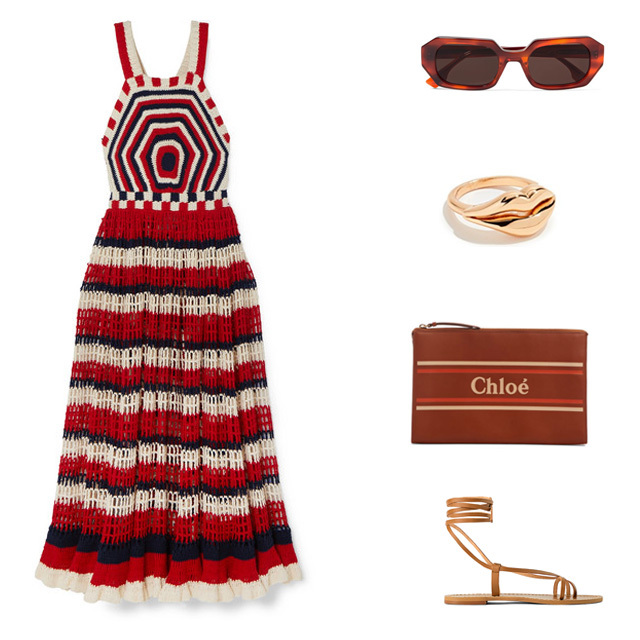 Also super fetching: this Gucci-looking Topshop, this dramatic, off-the-shoulder coolchange and this striped, cut-out J.Crew. 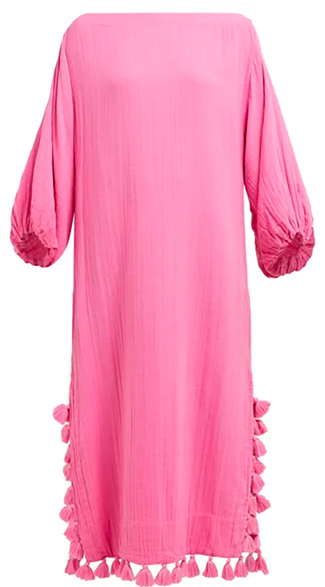 Just saying: the cache of (inexpensive) caftans at H&M is worth a look (or three) as I snapped up the embroidered cutie, above, along with this pretty eyelet, this Euro-chic oversized shirt, and this floral, ruffled dress. The beach isn't the only place you'll spot pretty sea shells this summer. 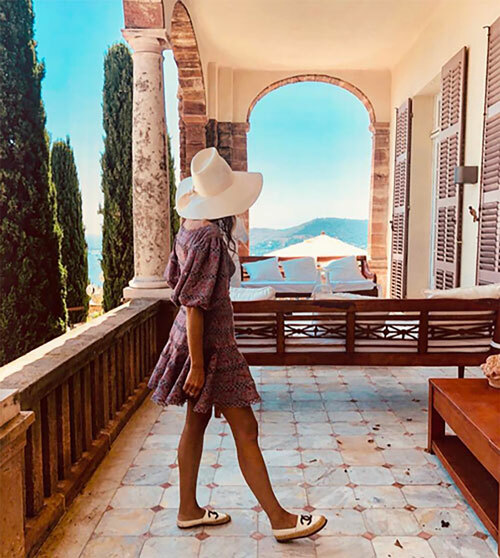 They'll be adorning everything from sandals (Loeffler Randall, above) to bikinis (Zara, below) to necklaces (I'm wearing this insanely beautiful one by Jenna Blake, but I also love this simple Shashi). More shell shockers: this Rosantica hair pin, this Mystique clutch, and these Tohum Design puka earrings. 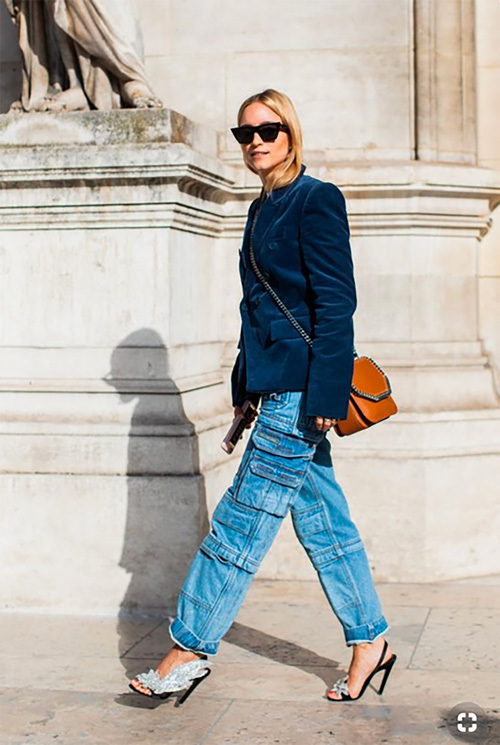 Because I wore my lace-up sandals into the ground last summer (see proof here), I'm going to buy two pairs to beat the heat! 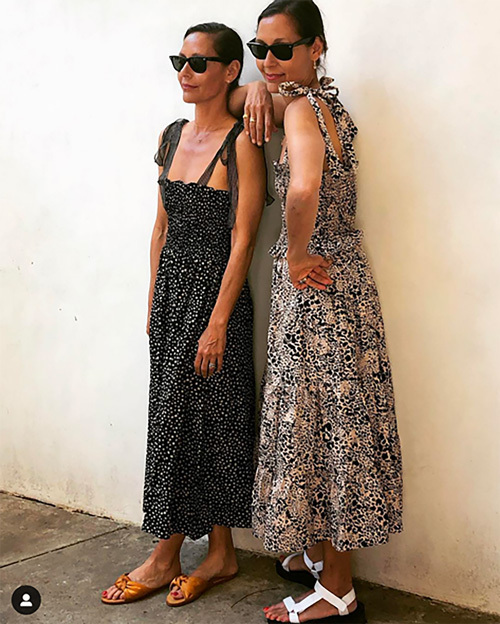 After tracking Australian stylist Romy Frydman's dressing game all southern-hemisphere summer long (December to February), I've concluded: I want some of what she has! Starting with the just-arrived-in-America Zimmermann, above, which I spotted on her Insta back on December 7, 2018! 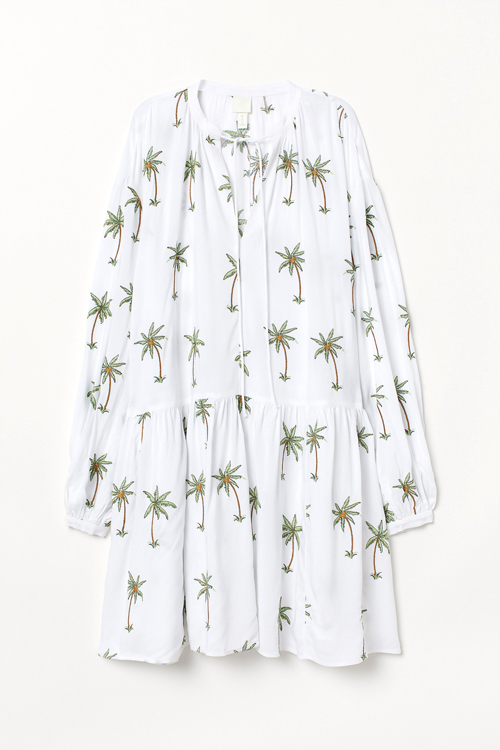 Then there's the beach-to-Broadway Rixo wrap and Tory Burch caftan (on sale! ), below. Also perfectly divine: the two floral Zimmermann frocks (here and here) in the last pics! Yes, to all, please!